Music Voyager, an international music and lifestyle travel series, will feature Atlanta in an upcoming episode to air Georgia Public Broadcasting in May. Music Voyager explores the sights and sounds of the most musically exciting cities in the world. Viewers enjoyed a sneak peek at the Atlanta episode during the Atlanta Film Festival on Friday, March 27. “Music Voyager showcases Atlanta’s thriving creative community through the music, food, and people that make our city great,” said William Pate, president and CEO, Atlanta Convention & Visitors Bureau (ACVB). 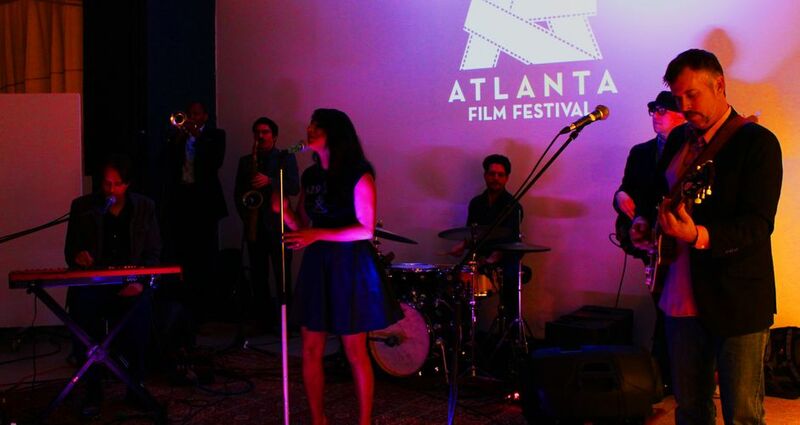 “Atlanta’s music scene is a hidden gem that we are proud to share with international audiences through Music Voyager. Atlanta’s episode will feature interviews and performances from local artists’ including Georgia Soul and R&B group Ruby Velle and the Soulphonics, rapper and producer Killer Mike and country music duo The Bush Brothers. The episode also visits local favorite watering holes including Porter Beer Bar, Lotta Frutta, Daddy D’z BBQ Joynt, Orpheus Brewery, Rosebud, Sound Table and Gladys Knight’s Chicken and Waffles. The music and food featured in the episode highlight the different personalities of Atlanta’s intown neighborhoods including Little Five Points, Grant Park, West Midtown and the Old Fourth Ward. Music Voyager follows host Tacuma Bradley as he travels around the world to explore the current global music landscape, delve into the rich history and surroundings that inspire new sounds, and offer deep insights into the soul of a destination. Viewers learn about each destination’s music scene, as well as the fine arts expressed through the city’s chefs, creatives, hot spots, festivals and recording sessions with local artists. ACVB partnered with Tantra World Wide Inc. and the Georgia Tourism Foundation to produce the Atlanta episode of Music Voyager. For more information on Music Voyager, visit www.atlanta.net/musicvoyager.